Painter and photographer Janet Solomon has long been engaged with environmental concerns in her artistic practice. Best known for her Green Screen exhibition which travelled South Africa (2014 -2016) she is interested in the politics of nature representation and the limits of visualising the nonhuman. Seeking greater visibility for her concerns Solomon has recently turned her eye to cinematic film and made her first documentary Becoming Visible. 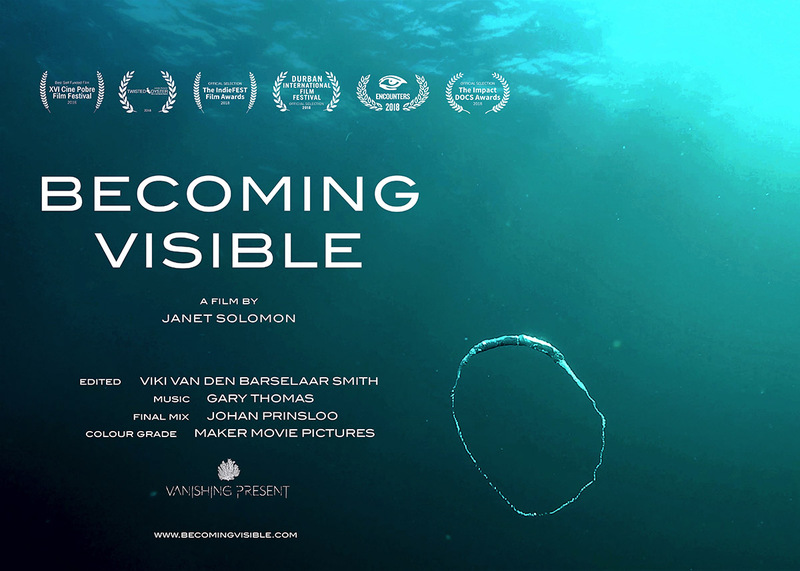 Becoming Visible is a short (33’) three-screen environmental documentary that explores the consequences of offshore oil and gas development on the marine life along South Africa’s coastline. It explores the theme of nature as political/economic asset and questions South Africa’s governmental approaches to environmental policy. The film focuses on a seismic survey off the East Coast of RSA, which was extended into the whale migration season in July 2016. There were a number of unusual deepwater-mammal strandings during and after this survey. This project began when director Janet Solomon picked up her camera and drove to see the third humpback to strand in the first week of August 2016. Becoming Visible investigates the risks posed to marine species by unilateral and indiscriminate traumatising noise exposure from underwater seismic surveys. Solomon’s experience as a painter/photographer creates a documentary with a difference - a fusion of fact and evocation – a combination that is gaining it recognition in awards. The film will be followed by a Q&A with the Director.